There are all kinds of reasons people choose to tackle home projects, renovations, and repairs on their own. With so much information in books, online, and in-store, it’s provided homeowners with a newfound confidence in approaching these DIY projects around the house. With that said, there are still projects and repairs that are best left to the professionals, so as not to cause further damage. 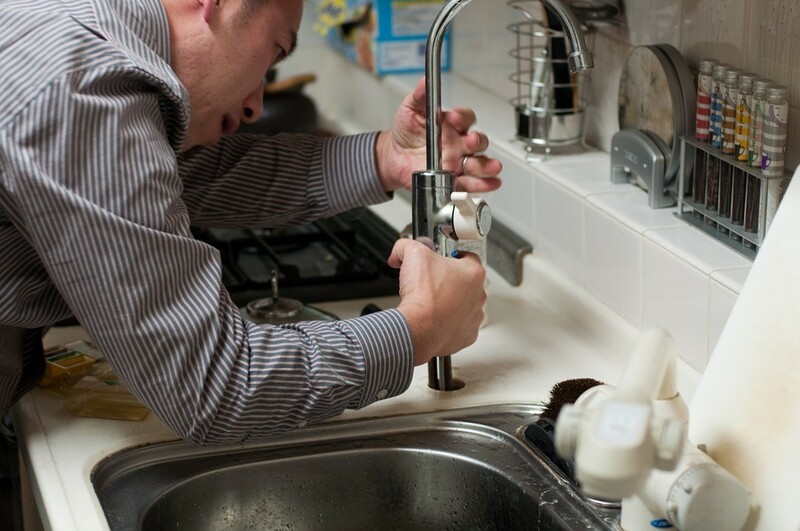 One thing that homeowners should be wary about “fixing” on their own is plumbing issues. Here we’ll take a look at the top five signs that it’s time to call in a professional plumber. This is a perfect example of a DIY project that homeowners often tackle on their own, only to find out that they are in over their head. The last thing you want to do is damage the brand new faucet that you have purchased, or the pipes that you need to fix it to. This is even more true in older homes where the hardware is outdated and possibly faulty. What this means is that it may not necessarily be compatible with today’s faucets and hardware. A professional plumber will be able to come in, assess the situation, and properly install the new faucet so that it works perfectly. One of the most frustrating things when taking a shower, running a bath, trying to wash dishes, or your clothes can be low water pressure or low water volume. If you are turning the tap on to its fullest setting and the water pressure doesn’t seem very powerful, then there could be issues going on. The problem could be with the fixtures, then again, it could be something more serious such as an issue with your actual pipes. If the pipes are to blame, then you’ll be faced with having to replace them all. Obviously, this is something that is best left to the professionals. Here’s a problem that you won’t want to hesitate on getting fixed. No hot water in the house means it’s going to be pretty uncomfortable to shower and your dishes will be far from clean. Again, there can be various factors involved, sometimes it’s more than one problem. A plumber will be able to come in and take a look at your hot water heater to figure out if that’s the source of the problem. A sewer line not draining properly or backing up is something you don’t want to mess with. It may be that there is a problem with a plug found in the line, it could be tree roots growing into the main line, cracks, and so much more. Plumbers will have the professional tools needed to fix this problem and clean the drains. These are just a few of the top signs it’s time to call in a plumber, but there are a number of other issues that can occur that warrant a visit from the professional as well.